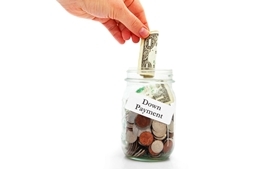 Why You Should Avoid a Deferred Down Payment Plan | The Consumer Law Group, P.C. For many people, the hardest thing about buying a new car is coming up with the money for the down payment. At 15-20 percent of the purchase price, a down payment can be a significant chunk of change—much more than the monthly payments on your loan will be. If you attempt to buy a car without enough money for the down payment, the dealer will likely work with you to get you into the car, but it may not be to your advantage. One offer a dealer may make if you don’t have enough money for the entire down payment, title, taxes, and fees is a deferred down payment plan. Dealers often call this a "pick up" payment. In this plan, you pay what you can up front and the dealer works out a payment plan for the rest of the down payment. If, for example, the down payment on the car you want is $3,000, but you only have $1,500 in cash, the dealer could allow you to make payments of $500 each month for the next three months. In some cases, the dealer will offer a “hold check agreement” where you write three checks for $500 each postdated for a date the payment would be due. The dealer then deposits the checks on those future dates. A disreputable dealer will make a deferred down payment plan sound like you are beating the system, but, in fact, he is likely setting you up for financial failure. While a deferred down payment plan may sound like the only way you are going to get into that new or used car, think about this. If your first loan payment of $400 is due a month from the date you buy the car, you will actually owe $900, as you must start making those deferred payments. This will be the case for the next two months as well. Will you be able to make that payment? Many people find they cannot, so they default on the loan payment. If you secured your hold checks with a credit card number, the auto dealer will charge your card for the $500 and now you are in credit card debt as well. Dealers are only permitted to work out a deferred payment plan if the plan is written into the sales contract and is contained on the required one-page loan disclosure. Many dealers who offer a deferred payment plan do not include it in your sales contract and are committing auto fraud. Sometimes, when you seek dealer financing and the price of the car is more than you can get a loan approval for, dealers will record a large down payment so that the amount of the loan is not as high, and then defer the down payment over multiple installments. This is also illegal and will get you into financial hot water within a couple of months. It also may be a violation of the Truth in Lending Act if interest is charged and not made part of disclosures made on the credit contract you signed. When a dealer commits auto fraud and you are the victim, the lawyers at The Consumer Law Group, P.C. may be able to help. To avoid needing our help, however, we advise you to never agree to a down payment that you can’t pay at once. Also, you are almost always better off securing financing from your bank or credit union than from the dealership. Browse our website for more helpful car-buying tips.